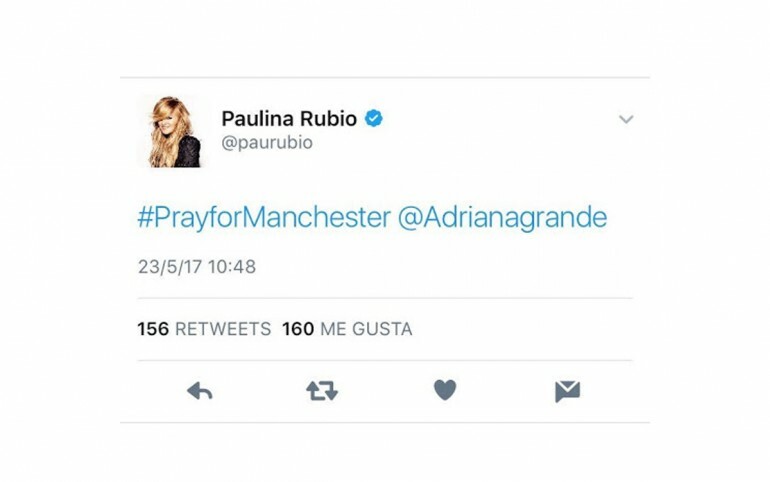 Paulina Rubio, just like anyone else in the world with a heart, is heartbroken at the incident in Manchester, England during Ariana Grande's concert. The Mexican superstar took to social media to express her thoughts, but it took her three tweets to get there and now she's getting dragged by the trolls online. 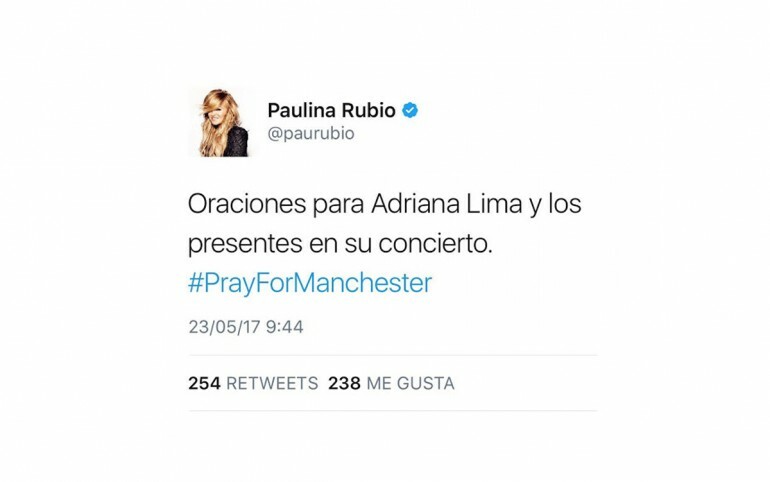 On her first tweet Rubio wrote: "Prayers for Adriana Lima and all who were present in her concert #PrayForManchester." The "Ni Una Sola Palabra" hitmaker confused Ariana with the Brazilian supermodel. You can see the now deleted tweet below. On the second tweet Paulina continued to confuse Ariana for Adriana. She tried to fix her first mistake but only made it worse. She used the "Pray for Manchester" hashtag followed by the Twitter handle for "Adrianagrande," who is not the same as the "Break Free" hitmaker. Finally, because the third time is the charm, Rubio noticed her error and corrected Ariana Grande's Twitter handle. When Paulina Rubio finally got the message right people applauded her for the amazing work. The bombings at the Ariana Grande concert in Manchester, England shook the world. Following the horrific events, the singer canceled her "Dangerous Woman" tour. The Manchester appearance was the first of three in the UK, the following would've been on May 25 in London at the O2 Arena. Other dates were set in Belgium, Poland, Germany and Switzerland. Following the attacks Grande tweeted she was "broken" with the happenings. "Broken. from the bottom of my heart, i am so so sorry. i don't have words," she wrote on Twitter. ISIS has claimed responsibility for the attack that left 22 people dead and over 50 people injured. Donald Trump has reacted to the events saying: "So many young, beautiful, innocent people living and enjoying their lives, murdered by evil losers. I won't call them monsters because they would like that term, they would think that is a great name. I will call them, from now on, losers because that's what they are: losers." Paulina Rubio Disses Pepillo Origel During A Concert And It's All Caught On Video! Watch Paulina Rubio's Epic Fail Video Here!